We take our car for granted, until we realize that something is wrong. If you woke up this morning and noticed that your keys are lost, you’re probably starting to panic. You cannot find your keys, and you must get to work soon. What will you do? Instead of panicking, give us a call immediately. We will dispatch someone to your location, and they should be there within 20 or 25 minutes. They can help you get a replacement key made for your Mitsubishi. 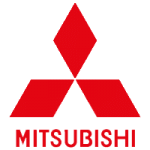 Whether you have a keyless remote, a transponder key, or a regular key for an older Mitsubishi, we can make a replacement for you. When you contact Door N Key Locksmith, you are receiving a top of the line, on-site service. We have a number of fully loaded vans that our technicians can take around the area. These vans have all the equipment and accessories needed to create different types of replacement keys. It does not matter whether you have a 2017 model Mitsubishi, or one from 20 years ago. Our technicians have the expertise and equipment to create a replacement key. And then you can be on your way, as if the drama of losing your keys never happened!